If any of you who read my first article on getting the wireless to first work are probably wondering why i didn't include anything about securing your Access point (Router). Well thanks to the folks at bughost.org & the fella at Intel, I was able to get it working to the point that I no longer have to Broadcast my AP's SSID and I can use WEP encryption to protect my connection to a certain extent. Below i'll show you how you have to do this in Fedora Core 3 & using the Intel internal wireless. Remember the names of the windows, i'll be refering to those names later. After everything is installed, we need to configure the AP (Router) for your notebook. 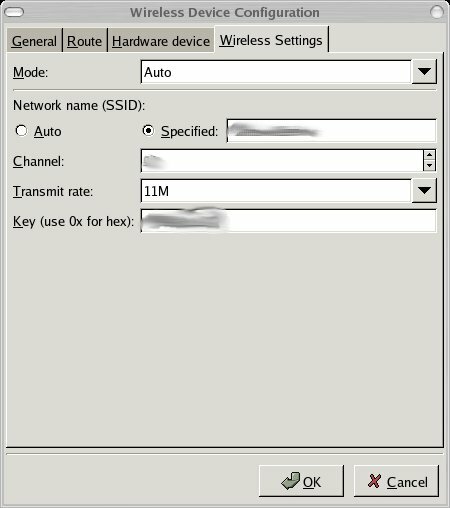 So, in your Router page, Disable "Broadcast SSID" and Change the name to what ever you want. 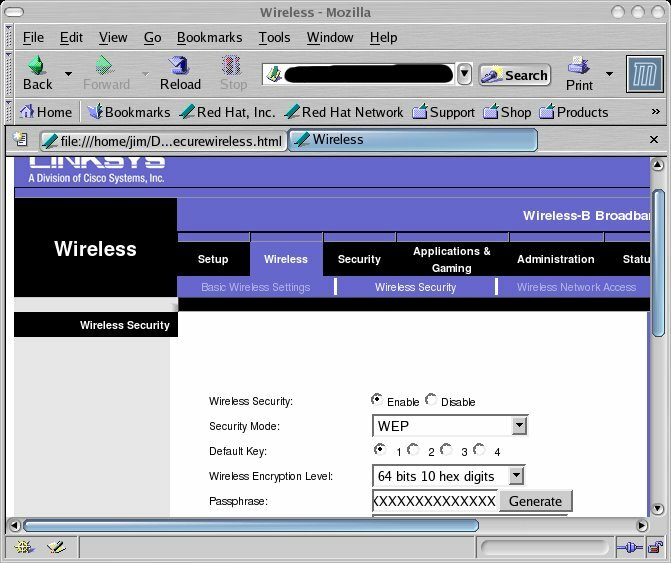 next in your router, Enable "Wireless Security". Now depending on your Router, you should have a choice of which Encryption you would like to use. I chose the WEP because it is the easiest to set up thus far. This image shows that you can put in A passphrase, click generate and it spit out 4 different keys you can choose. as for now, choose the default key which should be #1 and Apply the changes. 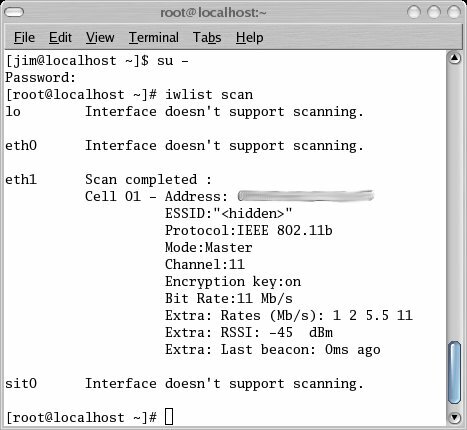 So now we have our AP(Router) set up to recieve connections that only have a valid SSID and Proper Key To connect. Go to Applications-->System Settings-->Network, Click the wireless device then click Edit on the tool bar. In the Network Name SSID box, Enter "Your New Network Name"
Click Ok. on the main window where it lists out your network devices, Click File--> Save. For all intent and purposes, you should be able to de-activate your wireless device and then activate it again. So now would be a good time to try it. So remember the you put on your tool bar? Yours hopefully will look like this one after were done So don't fret!! it is deactivated or inactive. Try activating it now. if it doesn't activate, then we probably should reboot. should turn it off. 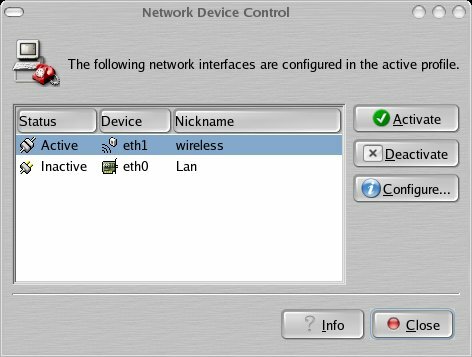 Click the "Configure" button on the Network Device Control Window, you'll next see the Device configuration. Click the Edit button for your device and on thr General Tab un-check "Activate on boot"
Now reboot to make sure the settings are saved. As the message says you should propbably reboot. So after rebooting, Click your Network monitor on the panel Click the "Configure" button, and Try to active your wireless Device again.See if it gives you some error while it tries to activate the device. worry, I got a trick for you. Open the terminal, and type in su - to be root. If you don't see anything, then something else must be wrong, so go back and double check everything. 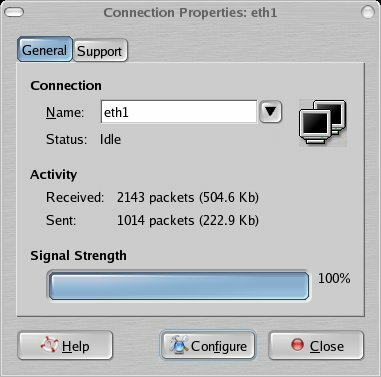 iwconfig eth1 essid "your network name" key "WEP key you Created"
if you get a response, Congratulations, your now connected to a secure wireless connection! * Update- Visit NM Set-up To automatic the above process.